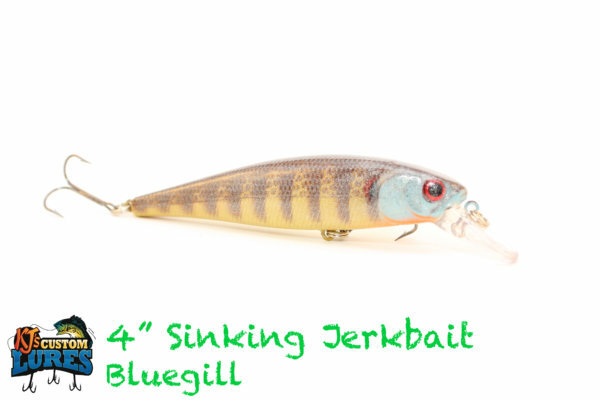 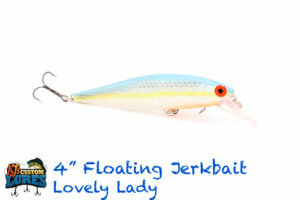 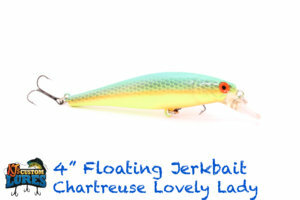 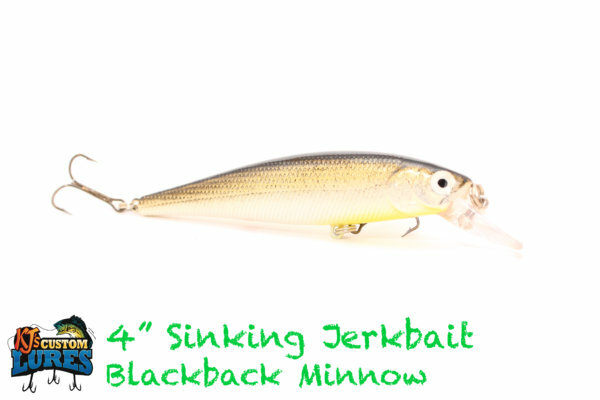 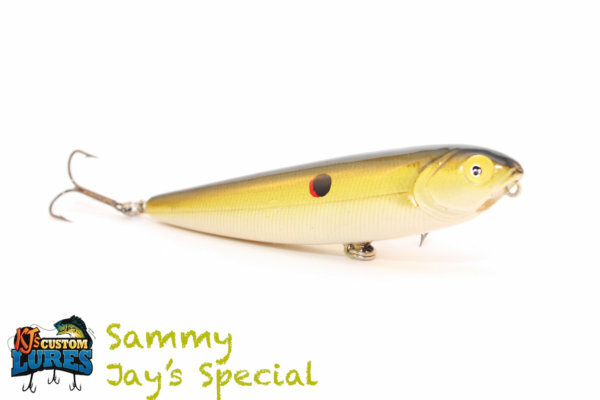 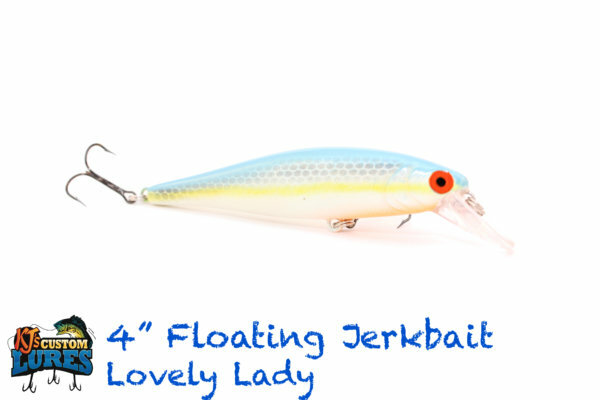 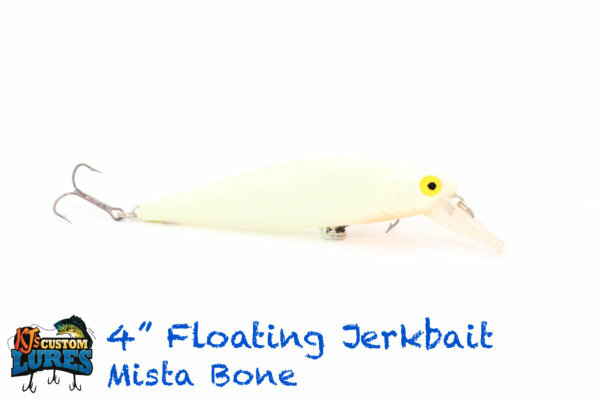 Our 4” Floating Jerkbait is a 4” minnow presentation that dives down on retrieve, but floats right back to the top on the pauses. 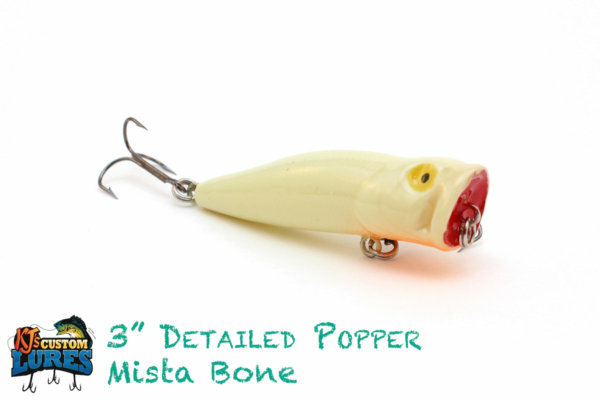 Paired up with Mustad Triple Grip #4 treble hooks, you’re sure to get a hook set that you can count on. 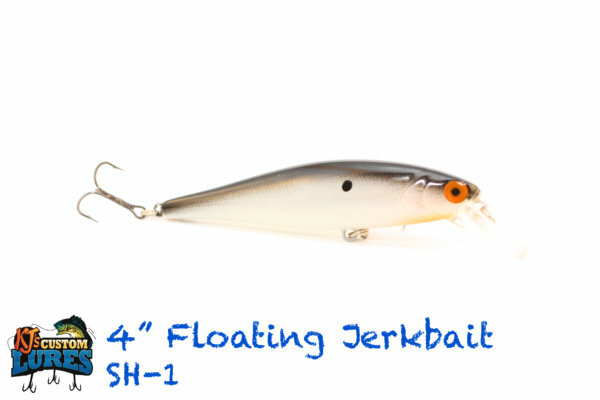 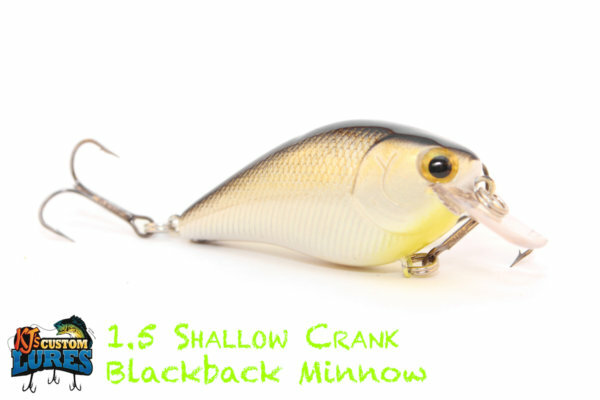 This bait dives to a maximum of 3 ft so i use this bait in 10 foot or less around points, channel swings, shallow rock or brush piles and along grass lines. 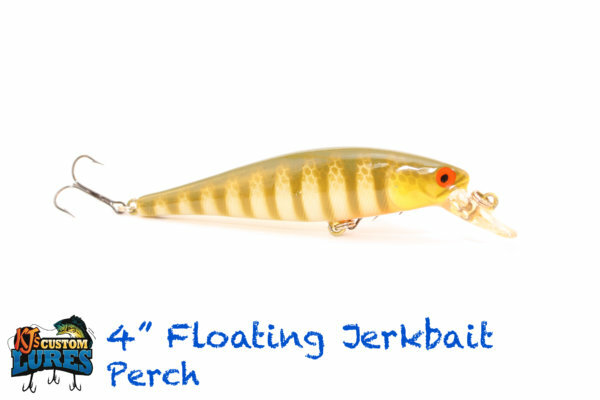 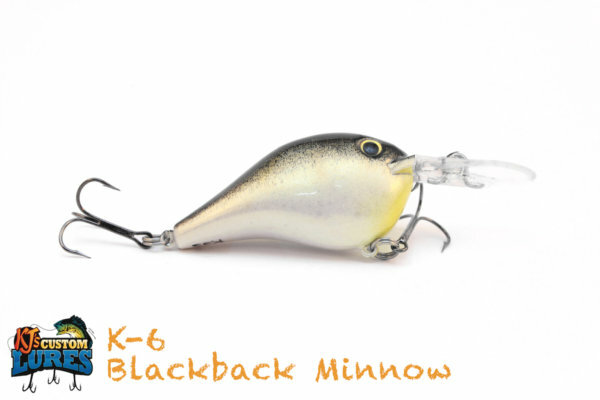 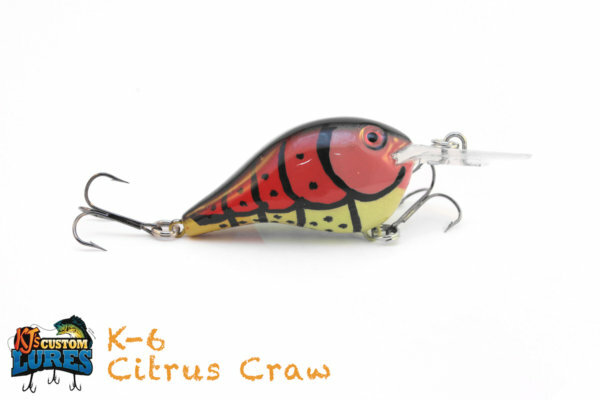 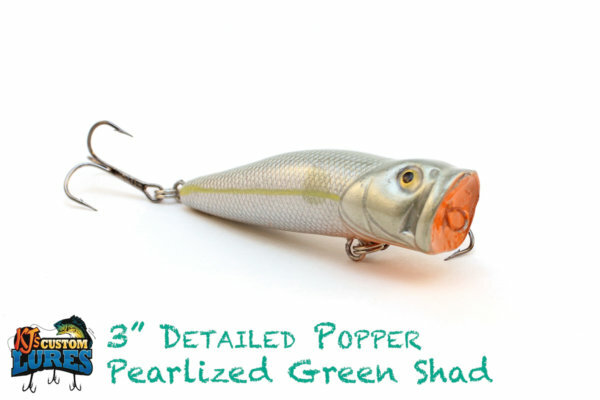 With this bait being of the floating style, it’s suggested to start using this bait mid-spring where the water temperature will be in the mid-50’s. 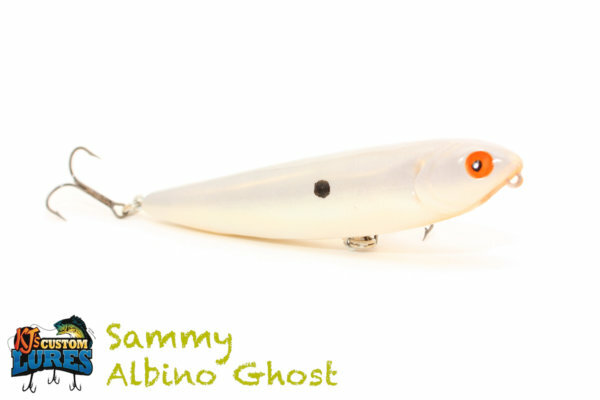 Target the early part of the morning when the fish are feeding through early summer. 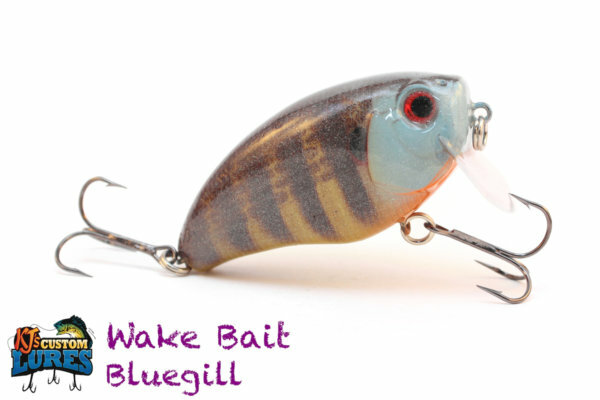 Twitch, twitch, pause. 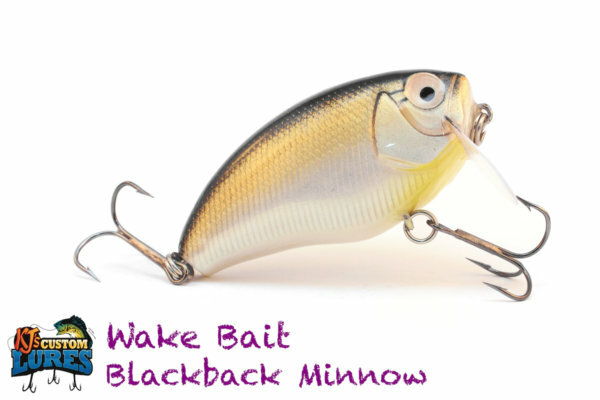 A quick snap, snap, pause will do the trick. Let it float back up on the pause. 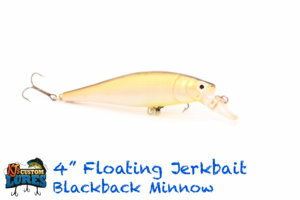 As it warms up, a steady retrieve will work in the top water column.